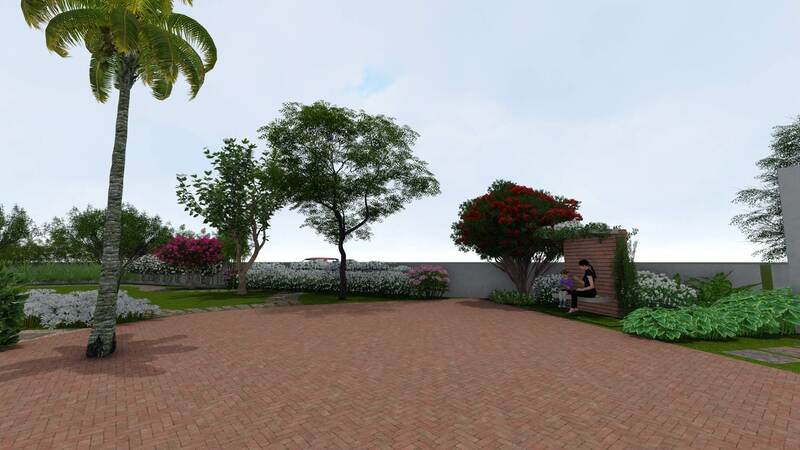 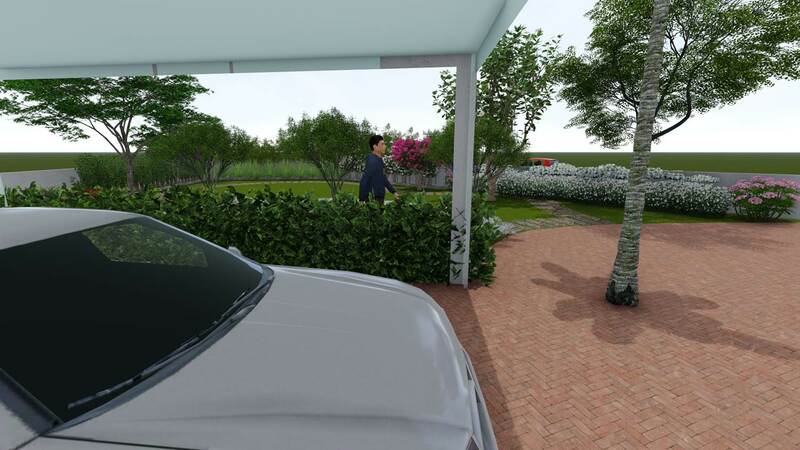 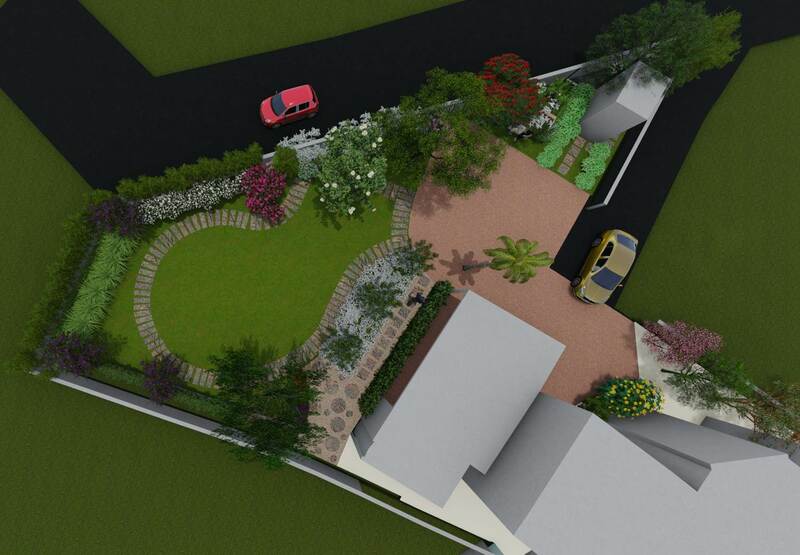 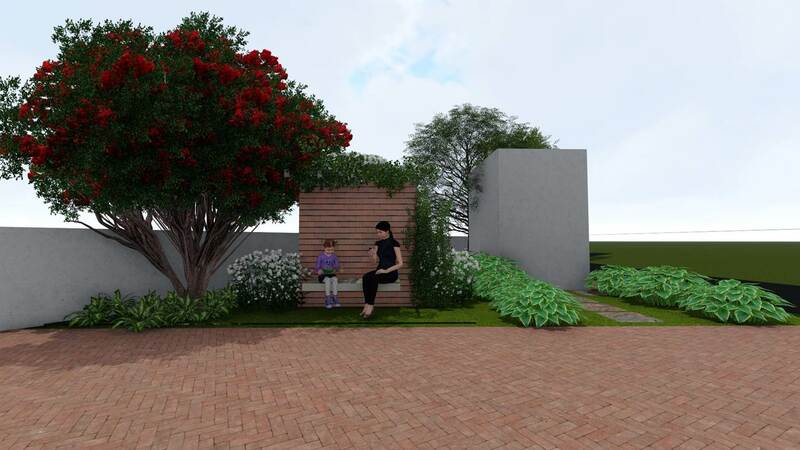 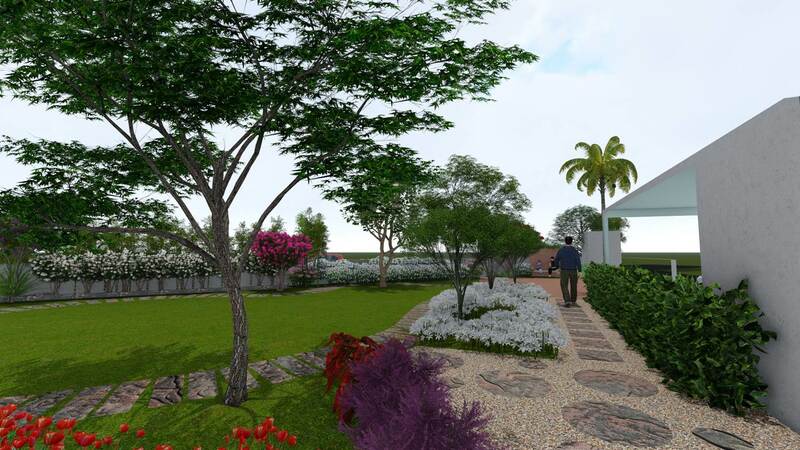 A landscape project for a residential villa where space has been perfectly designed to incorporate various types of flora in an alluring way. 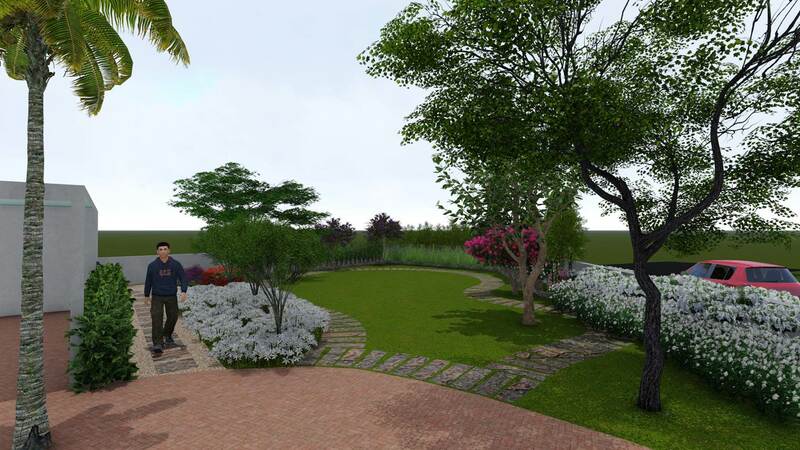 A tropical palette of shrubs and trees has been used with flowery plants interfaced between them to accentuate the elements of the landscape. 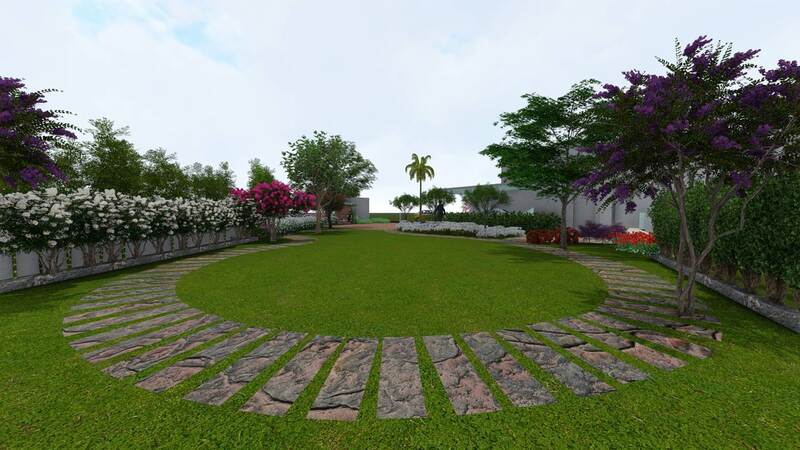 Stepping stone pathway is created through the edges of the plantings that define the boundary of a multi-functional lawn space.